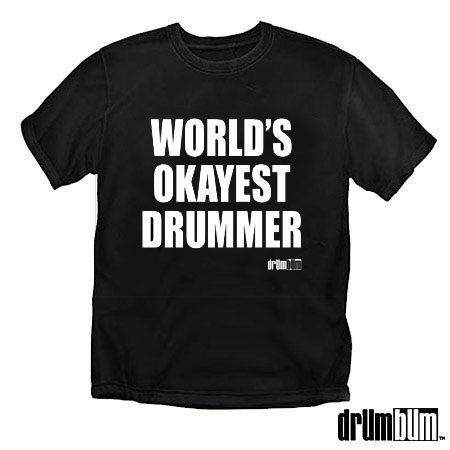 World’s Okayest Drummer T-Shirt – It’s okay not to be the greatest. We understand. This fun and unique t-shirt is a clever spin on being the greatest drummer. This t-shirt is 100% Cotton. Professionally screen printed. Sizes available: MD, LG, XL, XXL.